(Bloomberg) -- The trio of ministers leading Nafta talks meet again in Washington beginning Thursday as they continue to push for a deal in principle within weeks. U.S. Trade Representative Robert Lighthizer will meet Canada’s Chrystia Freeland and Mexico’s Ildefonso Guajardo in sessions Thursday in Washington. Some talks could continue Friday. The sessions come amid the latest technical talks -- what Freeland called an “ intensive phase” -- after the ministers’ last session on April 6. A few key disputes -- such as autos, agriculture and investor-state dispute panels -- will determine whether a deal is possible, said Flavio Volpe, head of an industry group representing Canadian auto parts makers. Big gaps remain and the Thursday meeting is unlikely to be a final step. The ministers’ meeting will be closely watched for signs of breakthroughs on some of the key divides, such as the auto sector. But no statement or announcement is expected at this time, said a U.S. administration official speaking on condition of anonymity. It’s not clear how long they will meet. 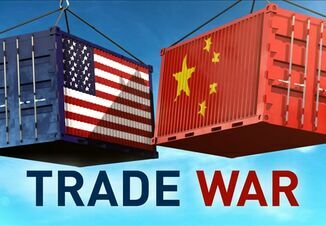 A U.S. administration official said Lighthizer would meet his counterparts Thursday and Friday, though Freeland only announced she’d be in Washington Thursday. Mexico Foreign Minister Luis Videgaray is also said to be planning to come to Washington to try to break a Nafta impasse. The Bank of Canada, which held interest rates steady Wednesday, said “a wide range of outcomes are still possible for the renegotiation of the North American Free Trade Agreement.” The central bank’s base-case scenario assumes existing trade agreements remain in place, along with ”adverse effects from uncertainty” on investment.